A branch of the North Atlantic Current flows southwestward and then around the Canary Island. This current, which is named after the archipelago “Canary current”, is charachterized by a cool temperature. Here a phenomenon called upwelling occurs: due to winds deep waters, which are cooler and richer in nutriens, move towards the surface. In this way they replace the surface waters, which are warmer and poorer in nutriens. Upwelling has consequences of marine ecosystems, affecting fisheries. At the Canary Islands regional facility stratification and circulation of water and biogeochemical cycles are investigated. Long-term changes of stratification and circulation on seasonal and inter-annual times scales of the subtropical Central-Eastern waters of the Atlantic Ocean. 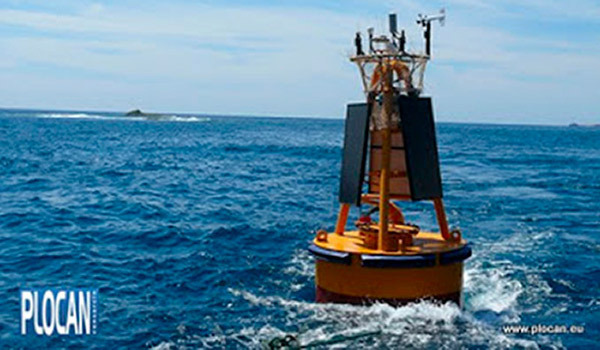 One buoy (ESTOC) is used for monitoring several meteorological and oceanographic parameters. It is part of PLOCAN, the offshore oceanic platform of the Canary Islands.